Everybody loves to be pampered with a mouthwatering desert. A meal is almost incomplete without it! But the amount of fat and sugar going in a dessert makes it unhealthy. When it comes to health conditions like hypertension, they often have to refuse such treats with a heavy heart! 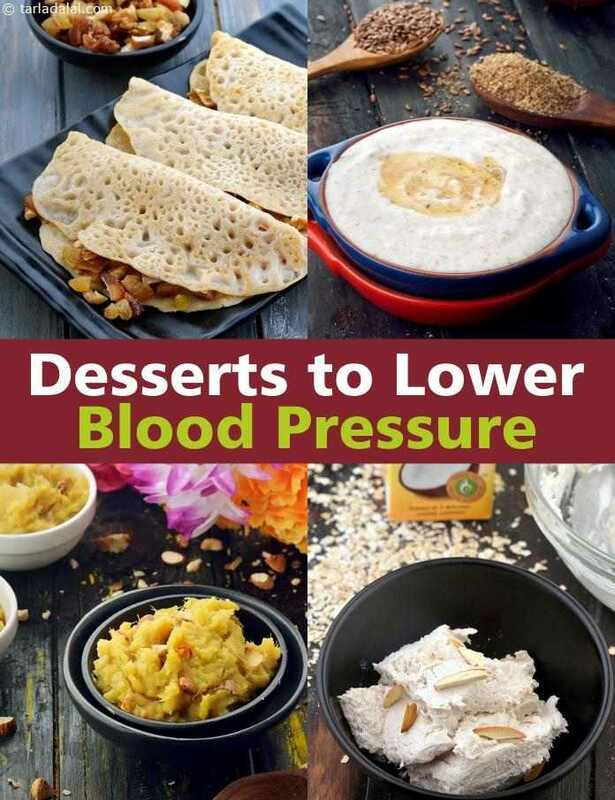 Nonetheless, we have come up with some interesting recipes, which can be enjoyed occasionally even by those with high blood pressure. These delicious indulgences can be guilt free, however it should be indulged in only once in a while and in moderate proportions. These desserts are relatively low in calories and provides a healthier option when it comes to hypertensives! Try and reduce the fat and sugar content going inside the dessert and make sure your ingredients are low in sodium. We have made an effort to give a healthy twist to these delectable desserts! However make it a point that you have it in moderation only! It is sure to satisfy your sweet tooth in a healthy way.